The restaurant located right on the Rambla offers delicious traditional breakfasts. Would you like to get the day off to a good start? If so, you need a full traditional breakfast, which is nowadays better known as brunch. It is very easy, since you can find it in the heart of Barcelona at the Cullera de Boix restaurants. 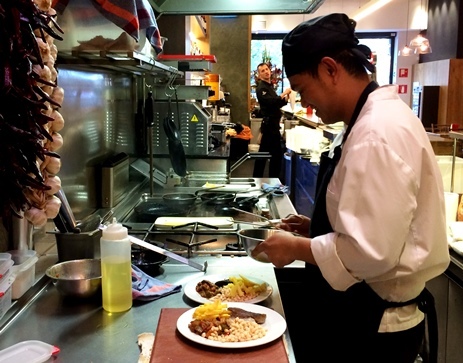 This restaurant group offers the best traditional breakfast in Barcelona, based on quality products, which you can sample at a reasonable price. What kind of brunch will you find? In the case of the Cullera de Boix restaurant located on Rambla de Catalunya, in the heart of the Catalan capital, they offer a more elaborate breakfast. Apart from the classics with croissants and freshly made sandwiches with premium sausages, you will find hot grilled choices. Here is the difference: these traditional breakfasts include an assortment of eggs made in a thousand ways – with ham, bacon, lard, salmon, cheese, etc. 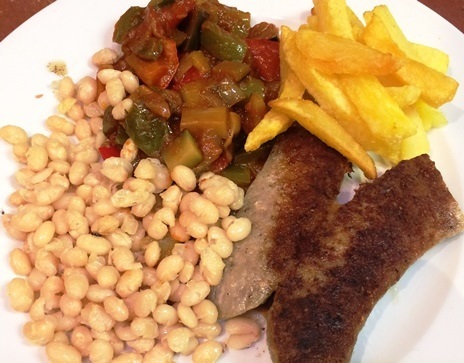 – and open butifarra sausages, accompanied by white beans and sauteed vegetables. As a drink, you can order fresh orange juice, coffee from one of the best producers in the country – the Café Saula company –, as well as the tea options you will find on the Cullera de Boix menu. In order to get a free breakfast, do not forget to ask for loyalty cards: for every ten breakfasts you eat you will get one for free. Customers are really grateful for this option, since, if you prefer a classic breakfast instead of a continental or a traditional one, you will enjoy the flute bread sandwiches made by the Forn Boix bakery, one of the handicraft landmarks of Barcelona that has been Cullera de Boix’ bread supplier for years. To eat the best brunch in Barcelona make a reservation at the Cullera de Boix restaurant.